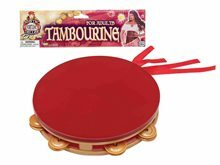 Mystic Fortune Teller Tambourine; Mystic Fortune Teller Tambourine Includes: Tambourine. 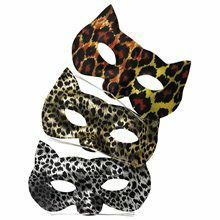 Jazz up your costume with this Exotic Cat Eye Mask (3 Different Styles) featuring one silver cat mask, one gold cat mask, and one feline print mask.Exotic Cat Eye Mask (3 Different Styles).Character/Theme - Animal & Insect.Product Includes - One Adult eye mask. Cavalier Sword 27",This Cavalier Sword is perfect for Halloween parties or any occasion. Made of plastic material. 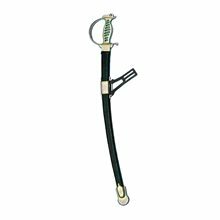 Sheath is included.You'll be boasting the spirit of the knights with this black silver and gold cavalier sword with sheath. Match perfectly with a pair of black boots. 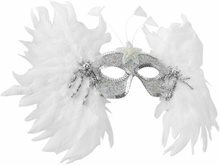 Sequin Adult Mask with Feathers.Includes: One Sequin Adult Mask with Feathers. Available Size: One Size Fits Most Adults. *Costume and Accessories Not Included. Sold Separately. 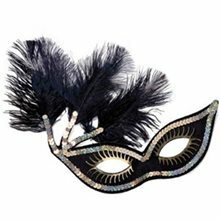 Black EyeMask with Sequins and Feathers. 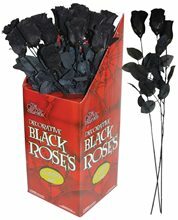 Great essential for a Masquerade themed costume. 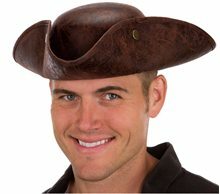 Fancy Pirate Hat.Includes: One fancy pirate hat.Color: Burgundy & Black.Fancy Pirate Hat is black and burgundy in color. Fancy Pirate Hat includes the hat with gold trim and a feather. 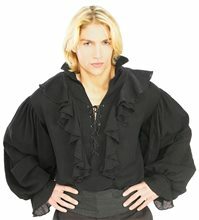 It is perfect for your pirate costume. Perfect addition to any pirate costume! *Costume Not Included.